Safety, function, programming and controlling of LED Lighting from one device. Dramatically reduces set up and test times. Ease of use eliminates errors. All LED functions and types easily controllable- dimming; analogue, touch, DALI, DMX, DSI….. Integration of hardware and software for programming lighting controllers. During the same time, with the same connections, the luminaire can be programmed and tested thus saving a great deal of time. 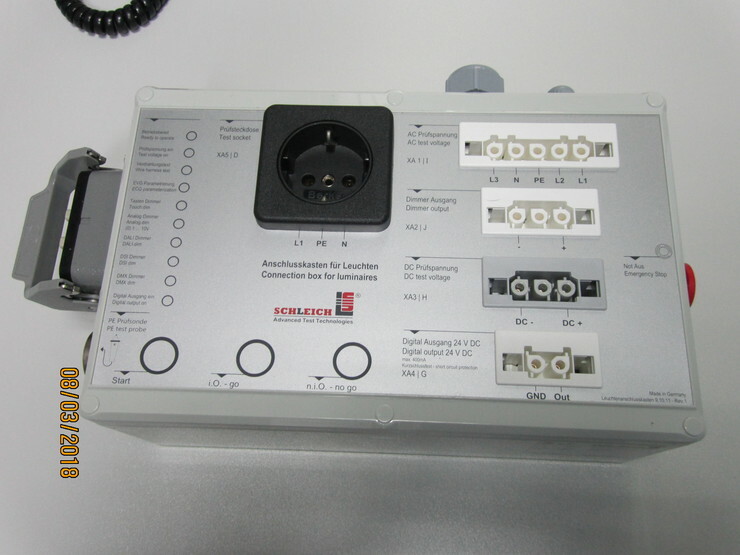 Class leading operator interface is very easy to use. Optional connection box features quick and easy plug in blocks for all luminaries. 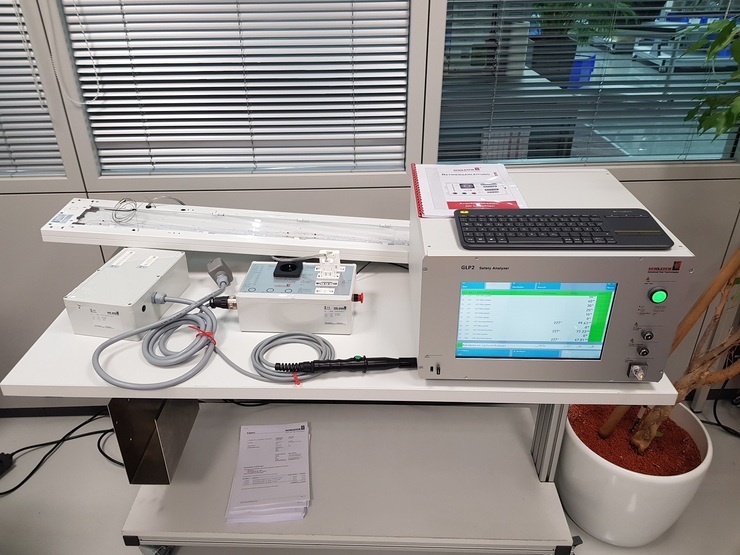 The tester recognises which type of lighting is connected and initiates automatic switchover between all tests/programming/controlling.